Malaysia International Marine Expo 2017 (MIMEX 2017) is an international maritime and offshore industrial event that brings an international congregation of companies together in Malaysia. It is slated to be Malaysia’s most comprehensive international business platform encompassing all aspects of safegurding, ship building, ship repairs, shipping, maritime engineering, offshore engineering & technology, ports & logistics and more. The event is an exceptional meeting point for the global maritime community in Malaysia, a region where the industry remains buoyant and strong growth is set to occur. Malaysia International Marine Expo 2017 (MIMEX 2017) will bring together leading industry players. 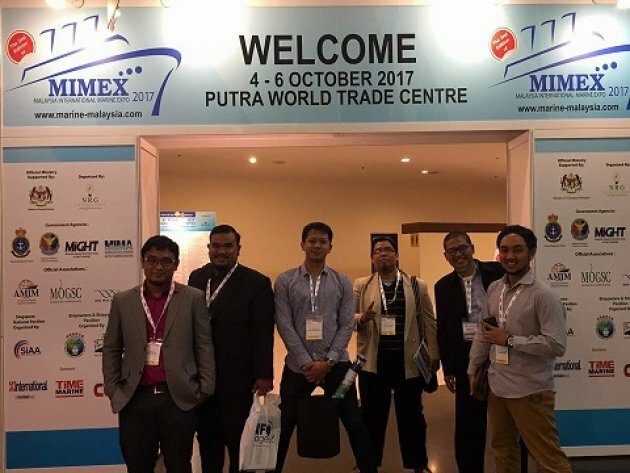 Terafulk Ship Design attended the Malaysia International Marine Expo (MIMEX 2017) on 4-6 October 2017, Putra World Trade Centre (PWTC), Kuala Lumpur, Malaysia.